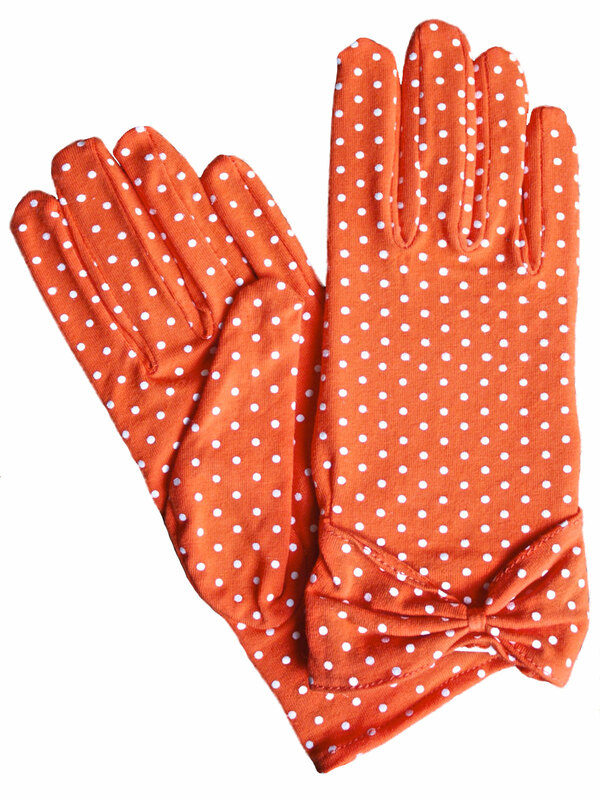 Very attractive, versatile, easy and comfortable to wear – these short polka dot dress gloves by Dents have a vintage look and so are perfect for vintage or 1950s retro outfits, as well as more modern fashion. They are made in fine quality soft stretch cotton and feature bow detail worked into the cuff. One size (to suit most standard glove sizes). Please see our Product Information below for full details and important sizing information. These are very attractive and eye-catching vintage polka dot gloves, made by Dents in fine quality soft stretch cotton fabric. 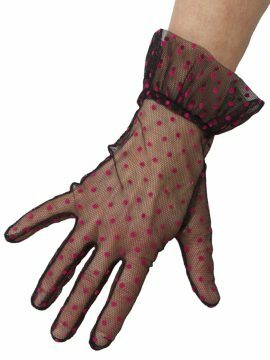 These short dress gloves are just lovely, particularly for spring and summer outfits, whether for modern fashion or for a more vintage, retro or burlesque look. The soft stretch cotton makes them comfortable and easy to wear. Size: One Size – to fit standard ladies’ glove sizes (palm circumference 6.5in-8.0in/16.5cm-20.25cm) so suitable for most hands. 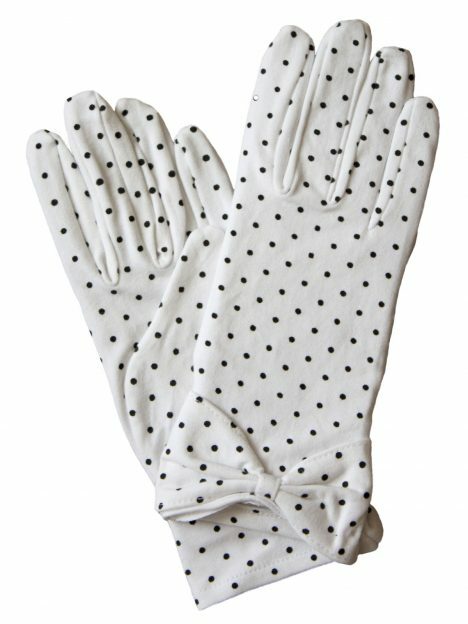 Very pretty short polka vintage dress gloves from Dents, are made from fine quality, delicate and soft sheer net fabric with polka dots. 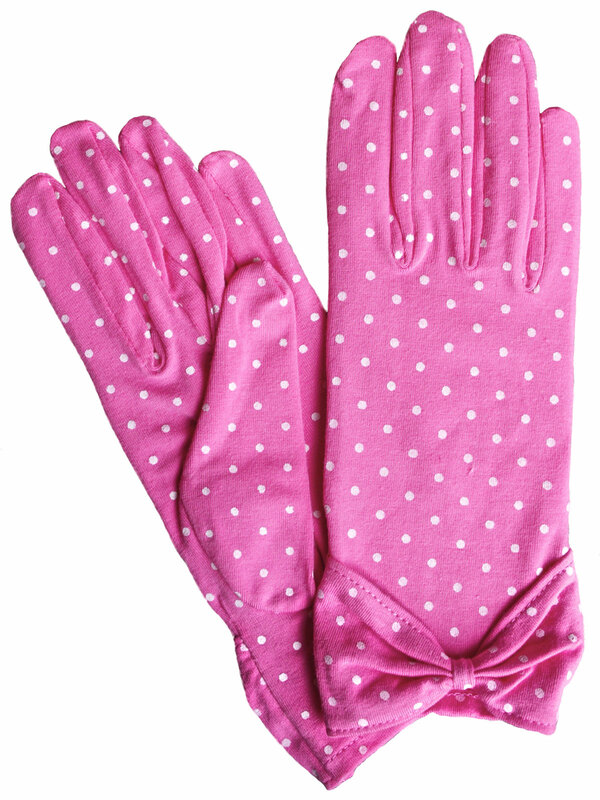 The gloves have a frill cuff and an elasticated strip at the wrist for a snug fit. Available in black/hot pink. NOTE: Although these gloves are 'One Size Fits Most', the fabric has limited stretch and so may not be suitable for larger than average hands. Please read our Product Description below for full details and important sizing information. 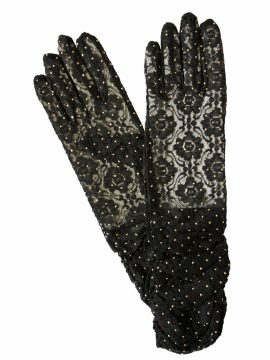 Black lace gloves by Dents, made in fine quality sheer lace fabric with decorative tiny gold faux metal beads. 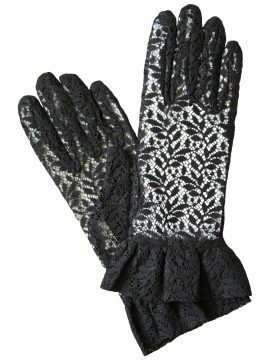 These elegant gloves will be a perfect accessory for all kinds of outfits for evening wear, special occasions, whether you want a vintage look or something more modern. The gloves are ruched and are mid-length so they can either be worn ruched lower on the forearm or pulled a little higher up. 'One Size Fits Most'. Note: The gloves in the images have a white card insert to show the lace pattern. Please see our Product Description below for full details and important sizing information. 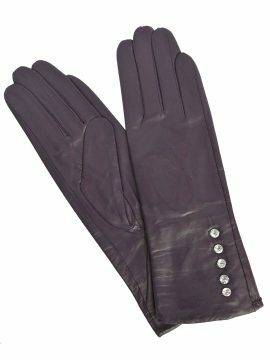 Give your outfit a little sparkle with these lovely elegant leather dress gloves from Pia Rossini, made in soft smooth leather and with 5 diamante buttons on the outer seam. They are a little longer than a standard glove, reaching around 4in/10cm up the forearm from the wrist (see additional image). Ruched at inner wrist. Silk lined. By Pia Rossini. Please see our Product Description below for full details and important sizing information. Beautiful and elegant womens short lace dress gloves with a frilled cuff - perfect for your outfit, for weddings and other special occasions, for a traditional, vintage or retro look or something more contemporary. The gloves are made from fine quality soft lace fabric and are elasticated at the wrist on the seam between glove and cuff, for a more shapely fit. 'One Size Fits Most'. By Dents - reassuring quality. Available in black or white. Note: Gloves in images have white card insert to show the lace fabric detail. Please see our Product Description below for full details and important sizing information.